Free Shipping Included! Hosoi Skateboards O.G. 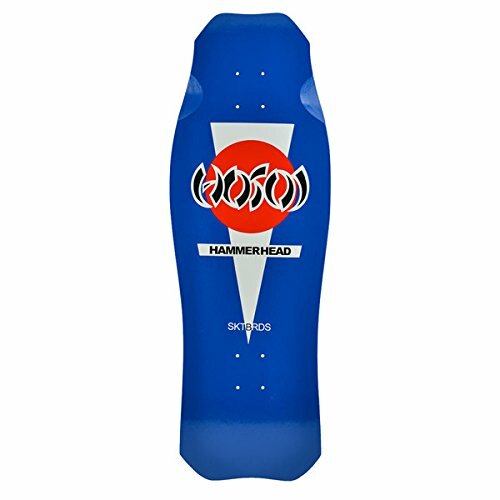 Hammerhead Deck, 10.5'' x 31'', Royal Blue by Hosoi Skateboards at Tar Wheels Skate Way. MPN: 843933086297. Hurry! Limited time offer. Offer valid only while supplies last. Hosoi skateboards was started by Christian Hosoi. The brand features board base on original Hosoi board to modern takes on the old school shapes. Hosoi skateboards was started by Christian Hosoi. The brand features board base on original Hosoi board to modern takes on the old school shapes. Also now riding for Hosoi Skateboards is Eddie Elguera, check out his new pro model. These are even new graphics from artists like John Lucero. For the mini rippers there are boards that range from 7" wide to 8.5" wide to fit a grom of any age. Hosoi boards are made in the USA. Get your Hosoi boards today. Skateboard does not include grip tape. If you have any questions about this product by Hosoi Skateboards, contact us by completing and submitting the form below. If you are looking for a specif part number, please include it with your message.